You may have wild dreams for your life. You may have massive aspirations regarding your finances, your business or your level of influence. You may have ambitious ideas about how far you can take your art. 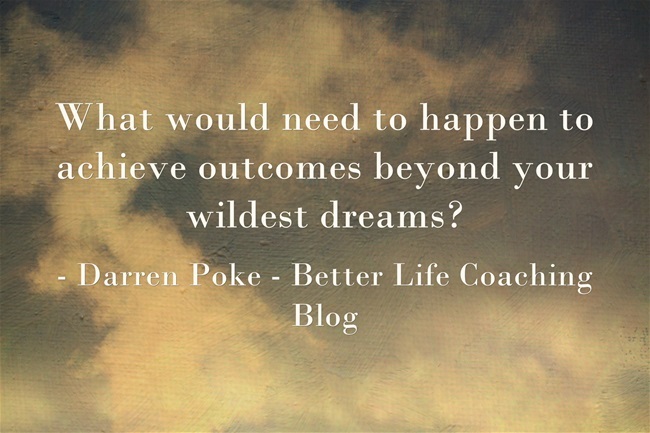 It would be pretty cool to achieve such outcomes, but every now and then I hear of people who have results in life that exceed their wildest dreams. Were their original dreams not audacious enough? Or did they just have a wild dream that inspired massive action and the momentum took them further than they could possibly have imagined? I trust that your dreams are big enough. I trust that you’re not relying on good fortune. I trust that you’re taking the action required to live a life beyond your wildest dreams.